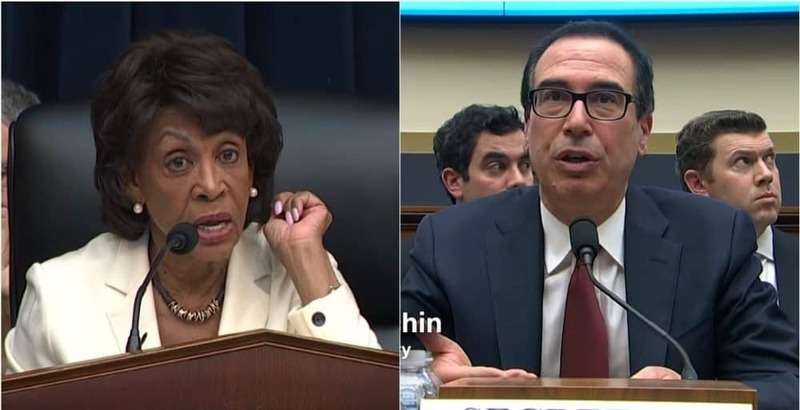 Treasury Secretary Steven Mnuchin recently appeared before the House Financial Services committee chaired by Rep. Maxine Waters (D-Calif.) to discuss his plans to respond to Democrats demanding the release of President Donald Trump’s tax returns, CNN reports. Mnuchin put in a late request to leave the hearing early because of a meeting, a move Waters didn’t appreciate. disputed, essentially implying he was being sarcastic. Waters and Mnuchin also bumped heads in 2017 during an exchange resulting in the birth of Waters’ “reclaiming my time” moment.